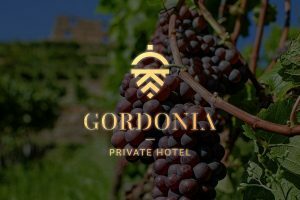 The Jerusalem Hills region, and especially the area in the vicinity of the Gordonia Hotel, has experienced a great increase in wineries, grapevines, vineyards and wine tastings in recent years and in the sale of some of Israel’s finest wines. A Jerusalem Hills wine route tour is an enjoyable experience, great fun for everyone. Here are a few recommended wineries in the area, places we love. Kedma Winery, located on Kfar Uriyya in the Judean Plains, is a family-owned boutique winery that was established in 2010. It is the only winery in the country where huge clay vessels are used to age wine. The winery combines ancient and modern technology with updated knowledge, to replicate the way wine was produced in the Land of Israel and the entire world in ancient times. Kedma operates a visitors center where you will find an abundance of information on the winery’s excellent wines, which can be sampled. The winery is open for visits every day of the week, from 11:00 to 15:00, and a tour sets out every hour on the hour during opening hours. Directions: Drive along Road #44 and turn south at Kfar Uriyya. Follow the signs to the winery. Kastel Winery is a family business founded by Eli Ben Zaken. His sons Eitan and Ariel joined him in 1988. Originally, the winery operated near Moshav Ramat Raziel, on slopes resembling those of Tuscany. It moved to its new home on Moshav Yad Hashmona, very close to Ma’ale Hahamisha, in the summer of 2015, though family members still continue to operate the old Ramat Raziel facility. The winery produces about 10,000 bottles a year from chardonnay, cabernet sauvignon, merlot, petit verdot, cabernet franc and malbec grapes that are cultivated in its own vineyards, planted in the Judean Hills. Winery visits must be coordinated in advance. Directions (to the Ramat Raziel facility): Drive along Road #395, accessed via Road #38 at Eshtaol Junction. Road #38 can be accessed via the Highway #1 Shaar Hagai exit, as well as from Kiryat Gat. It can also be accessed from Jerusalem (Ein Kerem) and Mevaserret Jerusalem, driving to Ramat Raziel along Road #395. Specific final directions from here by phone, only for those that have booked in advance. Tel: 02-5342249. Tzuba Winery operates on Kibbutz Tzuba, where its wine operations were born in 2005, based on the initiative of kibbutz member Moti Tzimmer. The winery currently produces 10 different wines, divided into four separate series – a total of about 30,000 bottles a year. The Gat Vegefen Visitors Center, which has also been operating since 2005, overlooks the amazing vineyard landscape and the Jerusalem Hills. Wines and wine accessories can be purchased at the visitors center; wine tastings can be enjoyed under the direction of Wine Master Paul Daub. A winery tour is available too, as is winemaking instruction. Advance reservations recommended for visits with Wine Master Paul Daub. Tel: 054-5637788. Directions: Kibbutz Tzuba is located north of Road #395, accessible via Road #38 or via Ein Neqofa. Emek Ella Winery is located in the Elah Valley, considered an ideal region for growing wine grapes. The principles underlying the winery’s founding were to produce quality wine, taking advantage of the advantages of the region and its unique conditions, while adhering to “Kashrut” (Jewish dietary laws), thus enabling it to reach a larger circle of potential clients, both in Israel and around the world. Wine tasting tours are available only when booked in advance. A tour of the winery may be added to the wine tasting experience, for groups of 10 or more. The participants may take part in the experience of winemaking and visit the wine tasting room and the winery shop. To book a visit – Tel: 02-9994885. A boutique winery operating on Kibbutz Harel, adjacent to the Ayalon Valley, Clos de Gat Winery is a joint venture between Vintner Eyal Rotem and the kibbutz itself. The vineyards were planted in 1998 and the first wines produced in 2001. An ancient wine press, used to produce wine about 3000 years ago, is located on the winery premises. The winery has been developed within a renovated stone building that served as headquarters for Yitzhak Rabin during Israel’s War of Independence. Visits available to the large, beautiful barrel cellar. Eyal Rotem, the winery owner and wine master, studied winemaking in Australia. a stop to view the on-site ancient grape press from the Second Temple era, and wine tasting. days and times should be coordinated in advance. kilometer until the turn leading to Nakhshon Winery.